The ehang can travel for 30 minutes on a single battery. The autonomous craft, controlled by 4G mobile internet, can reach a top speed of 160 KPH and carry a total passenger weight of more than 100 kilograms. 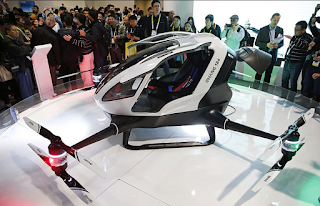 passengers will not even require a license to travel, since the drones will be ‘auto-piloted’ by a command center. sounds terrifying? fear not, because the vehicle has a ‘fail safe’ system that prompts it to land in the nearest place should anything malfunction or disconnect. The city has high hopes for a technology-filled future, with the ruler of dubai—sheikh mohammed bin rashid al maktoum—announcing last year that 25 percent of all journeys in the city would be conducted by driverless vehicles by 2030. Dubai is the perfect place to start passenger-carrying drones because the city is dedicated to developing futuristic travel. Known for its busy roads and bad traffic, Dubai is working towards automating 25% of its vehicles by 2030 and building a Hyperloop to link the city to Abu Dhabi. If passenger-carrying drones are as successful as many experts believe they will be, the practice could quickly expand throughout the city and the region. 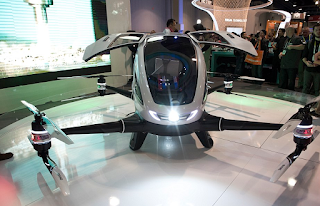 Although Ehang will start its flights in Dubai, the company hopes to eventually expand around the world and have passenger-carrying drones become as pervasive as recreational drones. 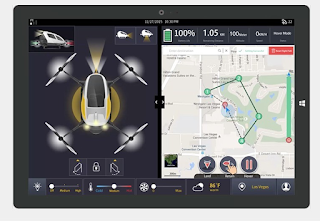 In the U.S., the state of Nevada recently passed a law allowing the testing of human-carrying drones like the Ehang 184, which could set the stage for similar travel growth in America. If the drone is successful at safely navigating through crowded airspace above cities, the technology could also be used for medical evacuations and logistics missions, as well as faster business travel. Although the Ehang 184 will be the first passenger drone in use, many others are currently in development. 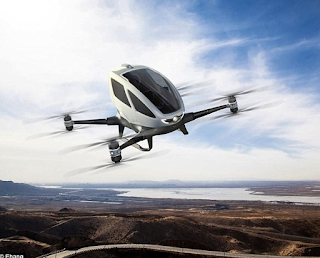 Israeli-based design firm Urban Aeronautics recently announced that it will have a passenger drone ready for military use by 2020. Drones have grown and increased their technology at a fairly rapid pace. With the move towards passenger-carrying drones in Dubai, they could change the entire transportation space as we know it.